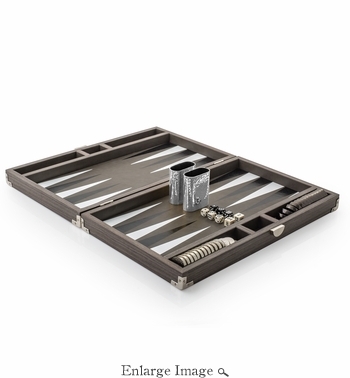 The Michael Aram Special Edition Backgammon set is a treasured piece of Aram's Game collection. A game of strategy, skill, and luck, backgammon was a classic pastime during Aram's childhood. "Growing up, I used to play backgammon in the evening with my parents. It's a wonderful treat to teach my own children how to play and see the delight it brings them."